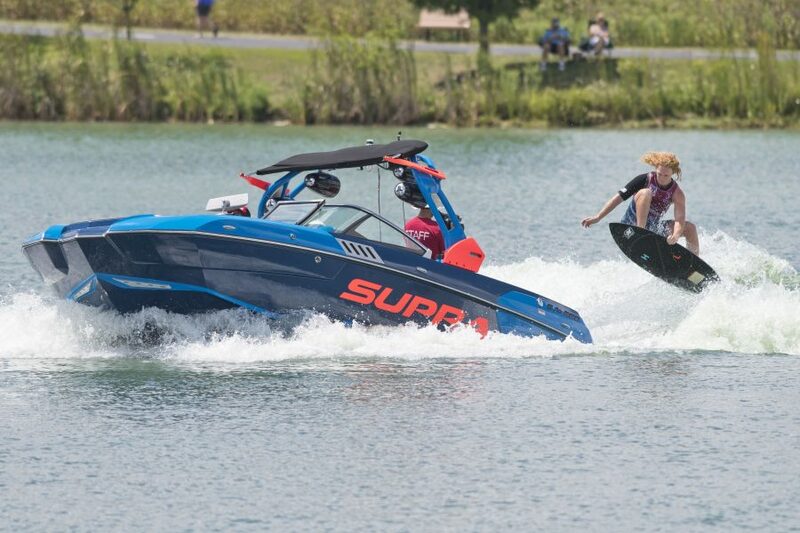 WARSAW — The Supra Boats Pro Wakeboard Tour, the largest and longest-running professional wakeboarding competition circuit in the country, concludes its 26th season with a first-time visit to Warsaw, Aug. 4, at Center Lake Pavilion, where the overall champion will be crowned. The family-friendly event features the world’s top 16 professional male wakeboarders as they compete for cash prizes and the top spot on the podium during the final competition of the four-stop series. Current standings show Australian-born, Nic Rapa, only 15 points ahead of fellow Aussie and Supra Boats teammate, Cory Teunissen. Multi Pro Tour Champ Harley Clifford is only 30 points behind — one slip-up from Rapa could open the door for either Teunissen or Clifford to take the win. All three athletes are currently riding on another level from the rest of the field. In addition to wakeboarding, the tour includes a wakesurfing division. This up-and-coming sport is performed by riding a boat’s wake without the use of a tow rope. Sean Silveira currently holds the top score by 40 points over John Akerman in the wakesurf category. Center Lake, located in downtown Central Park, provides ideal conditions for athletes and spectators alike, and is the only venue on the 2018 schedule where admission is free. The Supra Boats SA550 returns as the official towboat for the 2018 tour. Known for its clean, consistent and controlled wakes, the SA550 provides a balanced ride, strict handling and the platform to push athletes to the next level. The 2018 Supra Boats Pro Wakeboard Tour’s grand finale will be presented in Warsaw Aug. 4 at Center Lake Pavilion, 119 E. Canal St., from 10 a.m. to 4 p.m.
For more information, visit supraboatspwt.com. Pro wakeboarders will meet and greet local high school students, including some from Wawasee High School, learning to design and create wakeboards as part of the gone boarding program from 1 to 3 p.m. Friday, Aug. 3. The students have been invited to Center Lake for wakeboarding seminars and to “show and tell” their own home-built creations with the pros. Wawasee students will also serve as volunteers during the Aug. 4. competition.